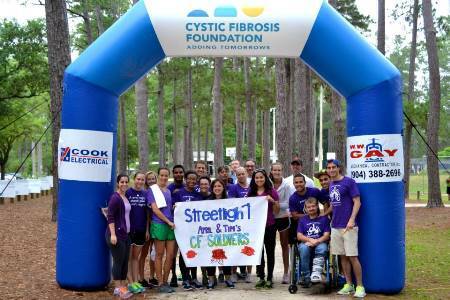 Our Streetlight Cancer Team participates in and fundraises for Relay for Life annually. 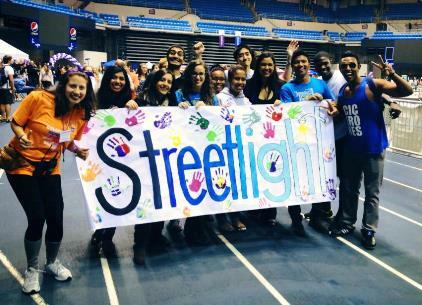 The event takes place at the University of Florida Stephen C. O’Connell Center in the month of March. We invite our friends currently undergoing treatment for an evening of fun, food, and raising money for a cause close to our hearts. 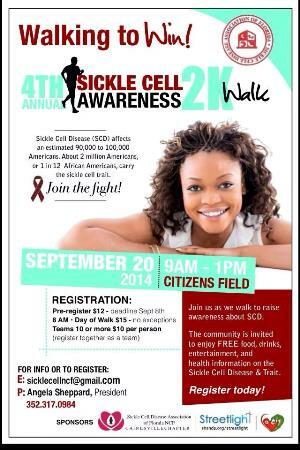 Our Sickle Cell Team organizes several events in September to honor Sickle Cell Awareness Month in addition to participating in the Annual Sickle Cell Awareness 2K Walk. Painting the 34th Street Wall, Sickle Cell Benefit Concert, presenting at University of Florida’s Black Student Assembly, and Poetry Slams are examples of past events. 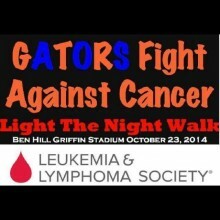 Our Streetlight Cancer Team participates in and fundraises for the Leukemia and Lymphoma Society’s Light the Night each October at Ben Hill Griffin Stadium. The event is a fundraiser to honor blood cancer survivors, those who have passed, and provide resources to those fighting the disease.